Discussion groups are being created day after day bringing people to the knowledge of the trending business in this new age, Cryptocurrency. Lots of social platforms such as Twitter, Facebook, and Reddit have so many platforms now being created on them. 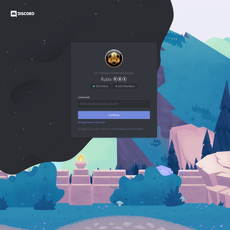 There are however some bigger forums being created on Discord, the newly discovered chat zone. Discord is one of the largest chat forums available at this time with a community that used to be filled with gamers. Its unique features and level of expansion have however caught the attention of some cryptocurrency sites and they have decided to pitch their tent in this social app thus causing expansion for both parties. One of these crypto channels is Blockchain. Blockchain on Discord is a forum opened to the discussion of everything relating to cryptocurrency in this age. From the latest news, ideas and basic information to trading, investing and mining tips, plus insight into the Blockchain technology, down to in-depth discussions about the numerous available coins and tips on when to invest and trade with them. Off topics are also discussed on this platforms, politics, music and other interesting topics usually trend which people can join and learn from as well as share their thoughts on. One can only become a member on this channel once invited. They have very few and basic rules guiding the platforms with Admins and Moderators ensuring that these rules are implemented. It is a growing platform with close to a thousand members already. The forum is not limited to a particular niche of cryptocurrency. It is a growing platform with relatively few members.